Once you turn the first page of this fast paced, riveting, book you are going to be hooked. It begins with Dr. Shannon Frasier and her young boyfriend. What happened that night haunts the career of this doctor for years to come? Once we enter the story, we hear a noise in the dark, unsure of what is happening; we head to the kitchen, only to find a gun pointed at us. Yes this is actually a preview of what is about to happen throughout this story. There is a web of suspicion over everyone, and you find yourself wondering who are the bad guys here. Wow!! Even being a Preacher’s child doesn’t always help you to make the right decisions, and we find that those little seeds planted young, seem to come back at the right time. God is with they always, not just when danger appears, and the people who are put on their path, are not there by chance. We do find these characters interfering with the murder/robbery investigation and although I would probably make some of the same mistakes they did, they could have ended up in jail. 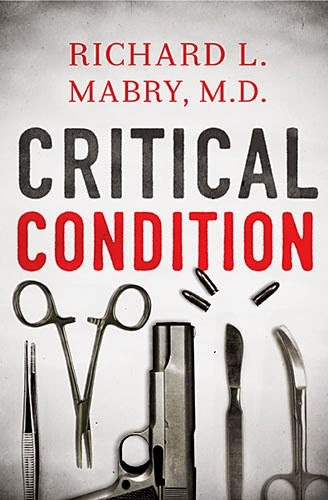 Come along for another of Dr. Mabry’s reads, I know I wasn’t disappointed, and felt that I had become a part of the Fraizer family. I also enjoyed that there was an epilogue at the end of the book. 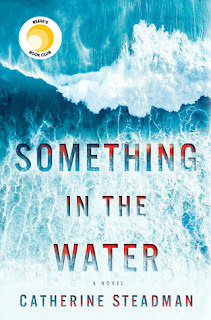 Don’t miss this one, especially if you love mysteries! Where Was God? Fayth Angelica Hope, questioned after the death of her father. Reared by a mother who could give, Cruella Deville, a run for her money as, “The Queen of Mean,” Fayth turns her back on the church, her faith, and love. She believed, no, just and merciful God would have abandoned her to the harsh brutality of her mother’s iron fist. Her emotional and spiritual scars run deep, lasting into adulthood. As a promising investigative reporter, she decides to change her name. Her given name of Fayth has more curses attached to it than blessings. She hopes the switch to Angelica will give her the clean slate she desires. Assigned to investigate financial advisor Jasion McCoy, Angelica goes in determined to expose him for embezzlement. She hopes the story will advance her career as one of the top reporters across the country. Instantly, there is an attraction. But she hides her feelings from him. After a series of missteps, broken heartedness, and rejections in her past, she buries the notion of any man, especially a man of his caliber, ever loving her. With the evidence stacked against him, she believes his only interest in her, is to keep from going to prison. Top-notch financial advisor Jasion McCoy is in the middle of an embezzlement scheme. When Angelica Hope shows up in his office, he knows he’s in trouble. She is one of the hottest investigative reporters in Port City and now she’s gunning for him. How can Jasion convince her that he is innocent? And how can he hold back his feeling for the woman who’s out to do him in? Twelve-year-old Fayth Angelica Hope sat motionless next to her aunt as the mourners flooded the Saint Gabriel Baptist Church fellowship hall. She rolled her red, puffy eyes heavenwards as she tried to make sense of her father’s death. Bursts of laughter jolted her senses. What is so funny, she thought? The grieving faces she had seen earlier now beamed with excitement. Stories and jokes about her father’s life filtered throughout the small, stuffy room, which sent flames shooting from her nostrils. “My father is dead and these people are celebrating,” Fayth cried as anger continued to well up inside her petite frame. Shaking her head in disbelief, she collapsed onto her aunt’s broad shoulder, giving in to the tears that tugged at her heartstrings. Sheila L. Jackson lives with her family in Shreveport, Louisiana. She is an anointed speaker, teacher, and writer that utilize her gifts to carry the Word of God to those in need of spiritual soul food. Sheila has penned two, inspirational non-fiction books, The Enemy Within and Through the Eyes of God. She has also written several inspirational and social articles for a local newspaper and magazine. 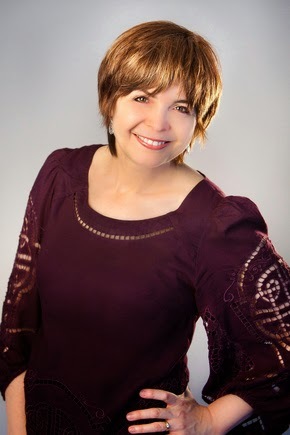 Her latest book is the Christian fiction romance suspense, Where Was God? (Their Hearts Burned to be Together). For more information about this author and books, visit her website at www.sheilaljackson2.com. She's come to the New World to escape a perilous past. But has it followed her to these far shores? Visit www.bethwhite.net for more information. Blast Giveaway $50 Amazon Gift Card or Paypal Cash Ends 5/25/14 Open only to those who can legally enter, receive and use an Amazon.com Gift Code or Paypal Cash. Winning Entry will be verified prior to prize being awarded. No purchase necessary. You must be 18 or older to enter or have your parent enter for you. The winner will be chosen by rafflecopter and announced here as well as emailed and will have 48 hours to respond or a new winner will be chosen. This giveaway is in no way associated with Facebook, Twitter, Rafflecopter or any other entity unless otherwise specified. The number of eligible entries received determines the odds of winning. Giveaway was organized by Kathy from I Am A Reader, Not A Writer and sponsored by the author. VOID WHERE PROHIBITED BY LAW. Pump Up Your Book is pleased to bring you Hayley Rose’s The Do’s and Don’ts virtual book tour March 3 – 28! Multi-award-winning author Hayley Rose released her first children’s book, Fifo When I Grow Up, about a six-year-old bear starting school in 2002, followed by the wildly popular geography book and #1 best-seller, Fifo 50 States, published in 2010. In 2012, Hayley was selected as one of “The Top 50 Writers You Should Be Reading” by AuthorsShow.com. In 2013, she branched out with a new series featuring a new set of characters, Zach and Chloe the Louis the manner monster. Her new book, The Do’s and Don’ts, was released in September 2013 and has already garnered four literary awards, including the Readers’ Favorite, USA Best Books and the prestigious Mom’s Choice Awards, bringing her career total to twenty-one. The follow up book in the new series, Today I Feel Emotion, will be released in the spring of 2014. Teaching children manner’s is always a bit challenging, and here is a cute way to help. If you have a preschooler, the illustrations help tell the story in a bright and colorful way. The school age child will also love, and mine did, the monster, he is so bright and drew their eyes immediately. There are pictures first of the wrong way to do things…like talking with your mouth full. Here we have the monster sitting at the table, gabbing along, and dropping food out of his mouth. One the cross page is a family sitting together, and showing that all food is swallowed before they begin chatting. The vivid images in the book highlight and reinforce what you have been teaching your child. Funny there is one about jumping on the furniture, and our oldest was told that today, and really brought it home. I received this book through Pump Up Your Book Virtual Tours, and was not required to give a positive review. 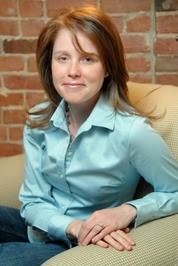 Catherine McKenzie was born and raised in Montreal, Canada. A graduate of McGill University and McGill Law School, Catherine practices law in Montreal. An avid runner and skier, she's the author of the international bestsellers SPIN, ARRANGED, FORGOTTEN and HIDDEN. HIDDEN was a #1 Amazon bestseller. Her latest work, SPUN, a novella sequel to SPIN, is releasing on April 29, 2014. Catherine is currently working on her next one-word entitled novel. A story that starts with the death of a man. We get tangled into a web of who is with whom? There are children involved, and a funeral to plan. Family, yes all kinds of family. The wife has had a previous relationship with her husband’s brother. You begin to wonder if it is still going on? Has it ever stopped? Now the husband you will feel sorry for, whom does he wife love? Is there a question? Then we have the other woman, she is also a wife and mother. Will she forsake all and everything for a liaison? You will wonder right to the last page. We even have the dead man, telling his side of the story, along with his wife, and maybe mistress. The story circles around and back again, and we see the same thing happen from three sides. I've read Catherine McKenzie's books before, and this one does not disappoint! Get ready for one heart in your throat action, and keep the tissue box handy! I received this book through the Publisher HMH New Harvest, through Net Galley, and was not required to give a positive review. Pump Up Your Book is pleased to bring you Gulten Dye’s Semi-Coma: Evolution of My Intermittent Consciousness virtual book tour March 3 – May 30! Gulten Dye was born and raised in a small town in Turkey and moved with her family to Istanbul as a small child. It was there that she earned a bachelor’s degree in nursing, and worked as a nurse at a local hospital before moving to the Philippines with her boyfriend. After being there a little over a year, they got married and a short while after that moved to Shreveport, Louisiana where she immediately began her studies to be able to work as a Registered Nurse. While studying for her boards, she was allowed to work as a scrub technician in an operating room at a nearby surgery center. She passed her boards and worked in an operating room for many years before moving to Las Vegas, Nevada there she worked at a busy University Medical Trauma Center as a staff nurse for several years until she earned the position of Charge Nurse. By 2001, she was divorced and living with her two young sons. Her desire to make more money became her impetus to start her own business, which soon became her sole source of income as her success grew. She has never looked back. Gulten found her talent and passion in creating one-of-a-kind jewelry pieces and sold them to well-known people, such as Celine Dion, Rachel Ray and Mary Higgins Clark. She became an international success when her work showed on Entertainment Tonight and Insider and was for sale in the high-end casinos in Las Vegas and on high-end cruise liners. She then created a jewelry line called Metamorphosis, a line of interchangeable jewelry that brought her even greater success. Gulten is also an author and self- published her first book Semi Coma – Evolution of my Intermittent Consciousness in 2011, currently selling on all digital media as well as in hard copy. Her second book “The Missing Link” is awaiting publication in 2013. In 2013, she opened her new concept store where she not only sells her own designs, but includes many local artists of different medium, including a local authors section. In turn for being able to sell their artwork in her store, all artists have agreed to teach others their medium for the future generation free thinkers. Gulten lives and creates in Las Vegas, Nevada. Visit her website at www.gultendye.com. The truth is, it was all a lie . .
Lucy Clarke has a first class degree in English Literature, and is a passionate traveller and diarist. She has worked as a presenter of social enterprise events and a creative writing workshop leader. Lucy is now a full-time novelist. 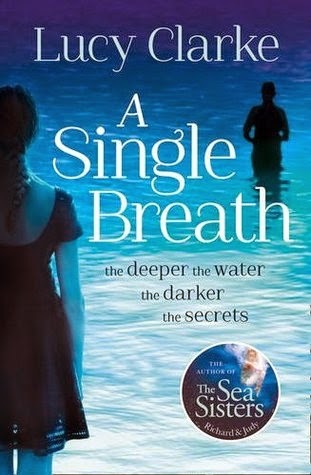 Her debut novel, The Sea Sisters (UK), was a Richard and Judy Summer 2013 Book Club choice, and was published in ten countries. Lucy is married to James Cox, a professional windsurfer, and together they spend their winters travelling and their summers at their home on the south coast of England. I loved how this novel pulled me in, from the beginning to the end. I had to turn the page, read a little further, and know the answers! The setting of this book is first England, at the ragged coast, where you can feel the cold, and smell the freezing spray. Then a bit more exotic, we travel to Tasmania, where we do see the Dragon Horse Fish, which I’ve never heard of, but no Devils! I can’t imagine all of the things that Eva, the main character in this story goes through, and we literally walk in her shoes. We travel on the plane and are there with her first meeting with Jackson, we are there with the frantic search of the coast, hoping beyond hope for his survival. Never expecting all that is about to come, and never remembering the old saying about deceiving and the tangled web we weave. We go with Eva as she does her first and subsequent free dives, you’ll feel the water flowing by your body, and your breath about to explode, as it craves air. I could almost feel the peace she felt and she was down there in that magic world. Above on the land were all the hurts and unraveling secrets, dealing with death, and finding out more and more. How could you be so deceived? Easily? As you go through this book you are not going to want to put it down, and when it ended, I still wanted more. I received this book from the Publisher Touchstone Books, and was not required to give a positive review. Pump Up Your Book is pleased to bring you Glenn Ogura’s Startup virtual book tour April 7-18! Pump Up Your Book is pleased to bring you Kevin Hopson’s The Landfill virtual book tour April 21-30! Prior to hitting the fiction scene in 2009, Kevin Hopson was a freelance writer for several years, covering everything from finance to sports. His debut work, World of Ash, was released by MuseItUp Publishing in the fall of 2010. Kevin has released several other books through MuseItUp since then, and he has also been published in various magazines and anthology books. Kevin’s writing covers many genres, including dark fiction and horror, science fiction, and crime fiction. His latest book is The Landfill. You can visit Kevin’s blog at www.kevin-hopson.blogspot.com. A Beauty So Rare, or a woman that feels she is ugly and out of options as far as marriage goes. How sad, and on top of all her brilliant lawyer father, is suffering from dementia. She is now forced to sell her family home, and place her father in a mental hospital, and this is breaking her heart. She was raised with the proverbial silver spoon, and comes from affluent society, and cultured up bringing. Her Aunt by marriage to a deceased Uncle, is coming to her rescue for a short time, and helping with her father. 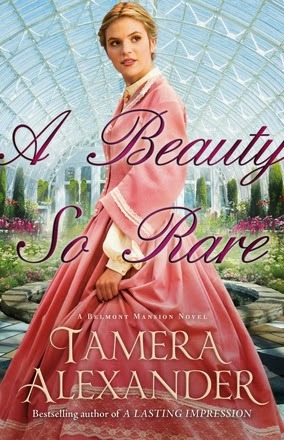 So we enter and now live in Belmont Mansion in Nashville, Tennessee, and here is splendor that we walk and enjoy with Eleanor Braddock. Through her I could almost smell the beauty of the flowers in the conservatory. The War Between the States has just ended and people are trying hard to get back to some normalcy of life. We travel the streets here in Nashville, seeing the differences in the people with much and the people with nothing. We also meet Archduke Marcus Gottfried, or Marcus Geoffrey as he is know by all here in the States. He is described as one very handsome, easy on the eyes, fellow. He has a gift in building and designing and working as an architect and on a side note, his passion seems to be botany, which brings him to be working at Belmont. Of course these two, Eleanor and Marcus are thrown together at various times, and you will love the compassion shown by both to various people, and unknown to one another some of the same people. Come and join them as they bicker and travel through the tunnel under the Conservatory, and although the book is rather long, you will hate for it to end. Not wanting to leave it, for real life, and wanting to know what is going to happen. Enjoy, I did!! 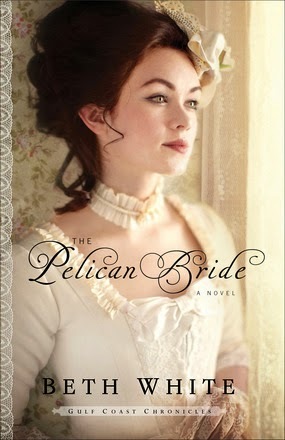 I received this book through the Publisher Bethany House, and was not required to give a positive review. Pump Up Your Book is pleased to bring you A.K. Turner’s Hair of the Corn Dog virtual book tour April 7-30! In the latest laugh-out-loud confessional from A.K. Turner’s “Tales of Imperfection” series, the author of This Little Piggy Went to the Liquor Store and Mommy Had a Little Flask relates her adventures on the Jersey Shore, at an Idaho drag show with her in-laws, and surviving the perils of an elementary school ice-cream social with equal parts wit and heart. The laughter pairs well with two parts cocktail. A.K. Turner is the author of This Little Piggy Went to the Liquor Store, Mommy Had a Little Flask, and Hair of the Corn Dog, as well as a coauthor of Drinking with Dead Women Writers and Drinking with Dead Drunks. Her work has been featured in various publications and anthologies, including Folio Literary Magazine, Leave the Lipstick, Take the Iguana, and I Just Want to Be Alone. A former writer-in-residence and creator of “The Writers’ Block” on Radio Boise, she lives in Idaho with her exceedingly tolerant husband and two daughters.